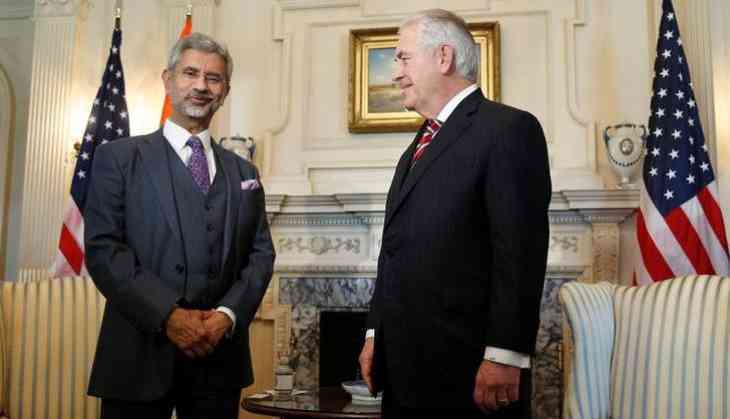 Foreign Secretary S Jaishankar is set to meet US Secretary of State Rex Tillerson on 23 June in order to finalize the agenda ahead of Prime Minister Narendra Modi's U.S. visit for a meeting with President Donald Trump on June 26. Jaishankar is also scheduled to meet the Deputy Secretary of State John Sulliva and key White House officials. Jaishankar, a former Indian ambassador to the U.S., has been playing a leading role in strengthening the India-U.S. relationship under the Modi government. There may not be major announcements on H1B visa regime but PM Modi and President Trump are likely to enhance cooperation on issues such as terrorism, UN reforms, Maritime policy and South China Sea. Modi and Trump will also explore to find common ground for cooperation to bring stability and peace in Afghanistan. Ahead of Modi's visit to Washington, two influential U.S. Congressmen have introduced a bill revoking Pakistan's status as a major non-NATO ally (MNNA). PM Modi will be attending top CEOs dinner on June 25. PM will also interact with Indian community in Washington before he goes to meet President Trump. At the CEOs forum, the PM will invite American mega companies to invest in India in high technology sectors under the Make in India programme. Describing India as a true friend of the U.S., Trump had invited Prime Minister Modi to visit the country after both leaders had a telephonic conversation in January this year. The two leaders have spoken over phone at least thrice since the latter assumed office.